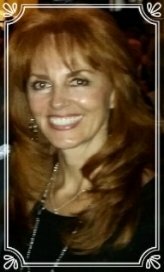 Certified Health Coach Yvette Suzanne's Healthy Living Tips Blog has recently added articles and is ready to help you transform yourself into a happier, healthier, more energetic individual. She shares her fit living lifestyle with you and includes her advice on her 12 tips to a healthy life. Read Yvette's mini-articles below by clicking on the Article Links Listed at the Bottom of the box below. Full articles are listed around our AgelessFX.com website. Hello Readers, Click the Article Links Listed Below! Click below to read my articles, thank you!